Millet is a generic term for several herbaceous plants whose grains are used for human and animal food. The most common variety across the world is pearl millet (Pennisetum glaucum), followed by common millet (Panicum miliaceum) and foxtail millet (Setaria italica). 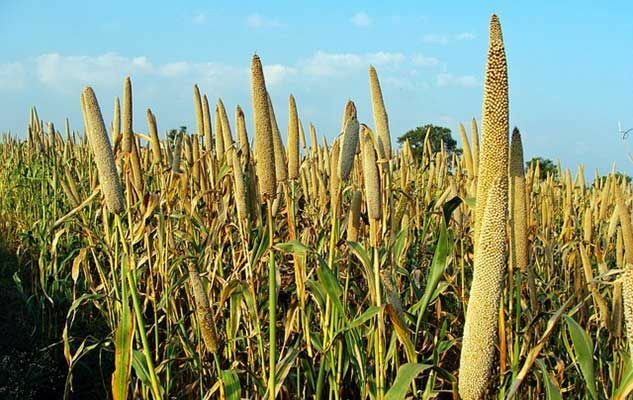 Different botanical species of millet were domesticated in Asia, Africa, Europe and America during prehistoric times. Tolerant to dry conditions, small grains from different plants nourished the multitudes. Today, millet is a staple food in Africa and Asia, while in Europe and America it is intended primarily for livestock. Having said that, millet does actually deserve to be more popular because of its taste and high digestibility. Since it contains no gluten, it is quite suitable for people with celiac disease, or for those (more numerous) who are gluten-intolerant or gluten-sensitive. Back home, husked pearl millet can be usually found in natural food stores. Steamed millet can easily replace rice as a side dish. Originally published in the Journal de Montréal on January 18, 2014.